So much has been written to date about the Tudor Dynasty that you might wonder why an established historian like John Guy would spend the time to write about them. Given the numerous volumes, both fictional and non-fiction, that have been devoted to Henry, his wives, and their offspring, the Tudors as a family are still a fascinating lot who draw readers to their story. Even those of us who have read extensively about them over the years are always looking for some new fact or tidbit. Some new twist to their story, which you must admit, is like a modern day soap opera. And at the heart of all of the family drama is Henry VII, the man who would stop at nothing to keep his dynasty alive, who would use any means possible to change wives in his search for an heir to the throne, who had four living children, but no two from the same mother. What lover of family drama wouldn't be drawn to this dynasty? When I was in my teens, I happened upon a book about one of Henry's six wives and that started a love affair with not only the Tudors, but the history of Royalty in general. Their lives were so different from mine, I was fascinated by the pageantry, the political intrigues, and the family dynamics that were prevalent in their stories. I learned early on to enjoy the fictional accounts of their lives, but to rely on the non-fiction accounts for perspective. In that respect I am always looking for a good non-fiction book on Royalty to add to my collection, or to recommend to those looking for good books on the subject. 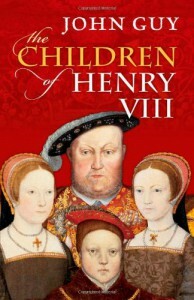 John Guy's latest, The Children of Henry VIII, is a well written book covering the struggle of Henry VIII to procure an heir for the Tudor throne. At just 258 pages it is a relatively quick read on the subject. In addition, it presents the essential information in a way that is uncomplicated and easy to follow. For those reasons, this would be an excellent book for anyone just beginning to read about the Tudors. For those of us that are well versed in the subject, though, there is little new information. I did, however, like the fact that this book contained a complete section on Henry Fitzroy, and did not just focus on the legitimate offspring. I was also fascinated by the author's suggestion that Henry had a rare blood condition that may have been the root of his inability to father more than one living child by any one woman. I had never heard this theory before and wish the author would have gone into a bit more depth on the subject. 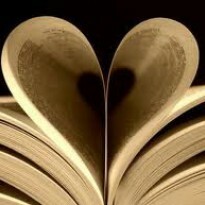 In fact, my biggest disappointment with this book overall was the lack of depth in general. At times it seemed to me that the author was just skimming the surface of the subject, while I was looking for more detailed information on the children and their lives. In fact, I felt the beginning of the book was more about Henry himself than the children's early lives. The good news is that the lack of depth coupled with John Guy's extremely readable writing style makes this an excellent book on Henry and his children for someone who is just starting to explore the Tudors. On the other hand, if you are like me and love all things Tudor, or never tire of reading about them, there is a bit of the new and different in this books that makes it worth the read.